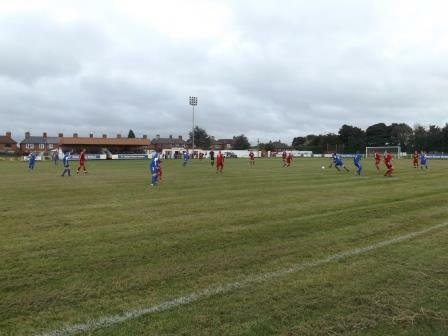 The charmingly named Yockings Park is like the Maracana of County league football. 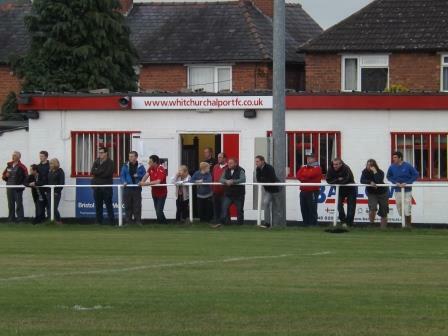 Sizeable stand, floodlights, good signage and other trimmings; not what you’d expect if you were to stumble across a Mercian League game. 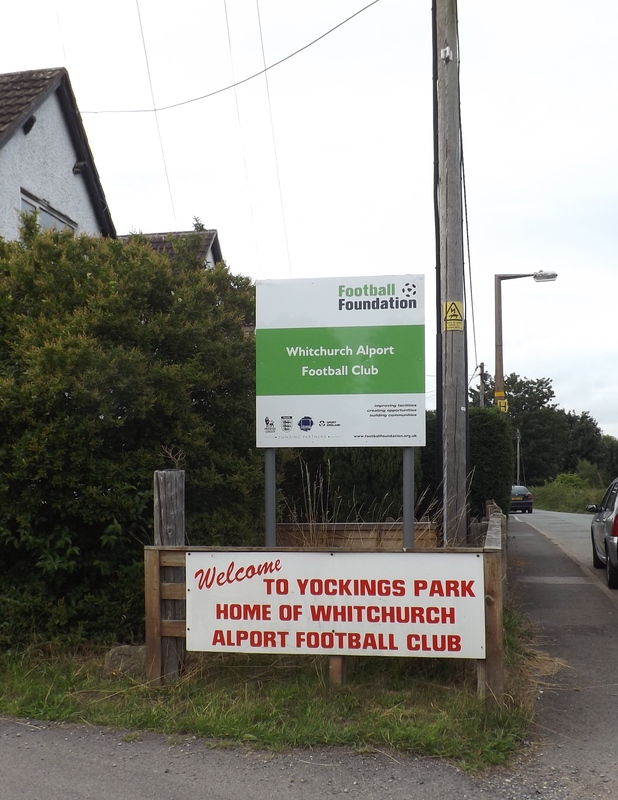 Whitchurch Alport were founded in 1946 and have spent most of their time in the mid Cheshire league, being the only non-Cheshire club to take the championship out of the eponymous county, to Shropshire in 1969-70. 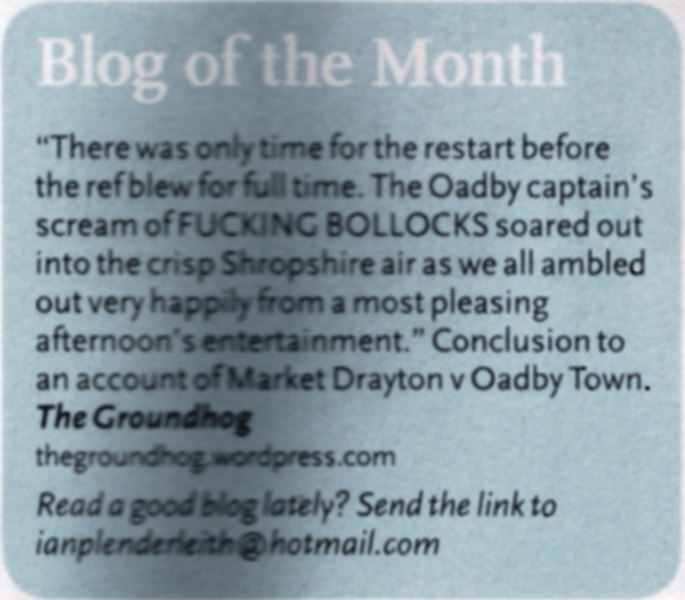 Recently they have moved to the even more obscure Mercian league, which doesn’t seem to appear in the pyramid anywhere. The top division has just 14 teams, including the reserves of Bridgnorth (of the step seven WMRL) and Wellington Amateurs (step six WMRL). Their El Clasico is against the nearby village team called Prees. Yockings Park stands out like a sore thumb in this parochial league, where perimeter ropes are the norm. 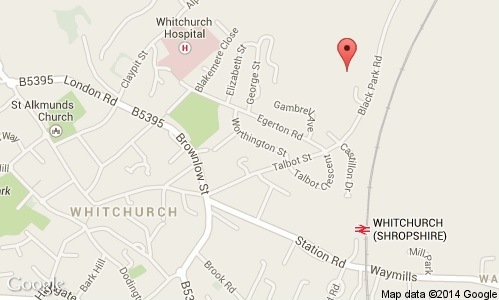 It’s even signposted from Whitchurch’s main high street. 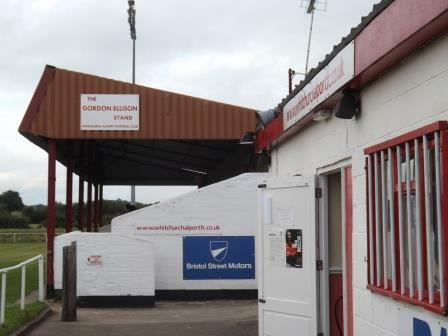 The Gordon Ellison stand is a solid roofed affair holding around 100 in four rows. Next door is the smartly painted clubhouse. Behind one goal is a giant protective net, behind which cars can drive round the to car park by the side of the pitch. 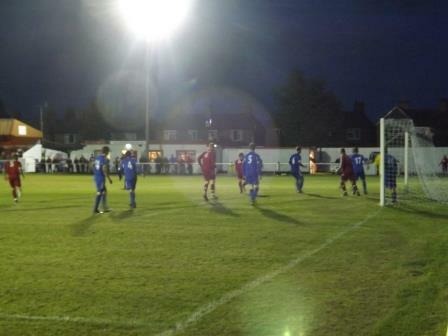 I went to see an early season Mercian League game against Alscott on a gorgeous mid August evening. Conditions were perfect as Whitchurch led the early proceedings but were pegged back by a late equaliser for Alscott. Went to watch Leek Town’s recent pre-season friendly at Whitchurch Alport and can report that significant ground improvements have been made since your visit. There is now a covered terrace on the car park side of the ground running half the length of the pitch up to the dug-outs. An identical covered terrace is under construction from the dug-outs towards the top corner of the car park side. When that’s completed the covered terrace will run virtually the entire length of the pitch on that car park side. Impressive progress. Sounds like I’ll have to go back! It was good when I went so must be even better now. Just hope they perform better this season.